These amazing jackets have a press stud closure, knitted collar, cuffs and waistband with stripe details and contrast sleeves. Available in 6 colours. Available in Childrens and Adult sizes. Childrens - 3/4 years, 5/6 years, 7/8 years, 9/11 years, 12/13 years. 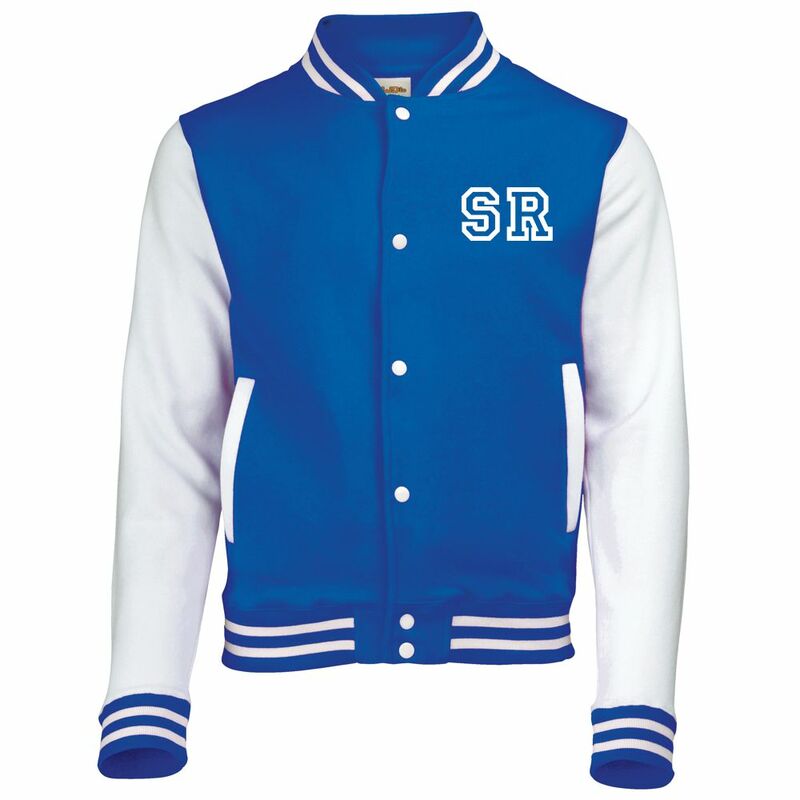 These jackets are perfect for sports clubs i.e cheerleading & dance teams, football and rugby clubs. School leavers or to promote your business or favourite band! There are 3 ways to personalise the jackets - left breast, right breast or back. Each of the personalisations are £2 or all 3 will be £5.